• Easy to hit hybrids and high launching, forgiving perimeter weighted irons optimize distance control and gaps. 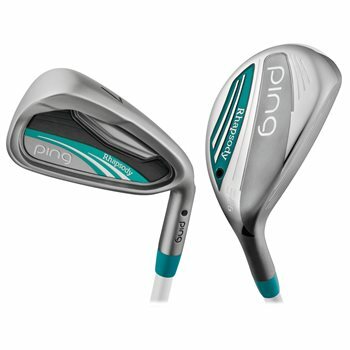 • The irons 5-SW and hybrids feature lightweight grips and shafts at the same swingweight. This makes it easier to generate clubhead speed and ball velocity for maximum distance. • High MOI irons feature a large elastomer cavity badge that ensures an extremely soft feel, and progressive lengths and lofts to hit precise distances.